Ethos is a new kind of life insurance built for people who don’t have time for fine print, extra doctors appointments or hidden fees. 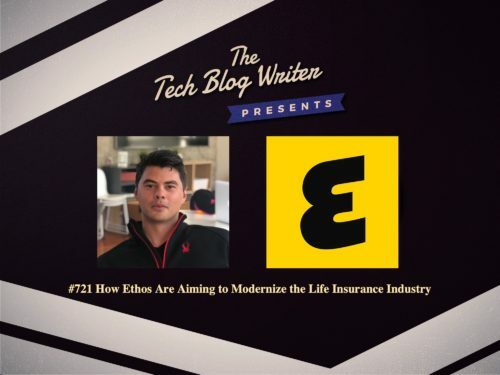 Ethos uses the power of technology and predictive analytics to modernize the life insurance process and align products with what families want and need during critical times in their lives. An application is fast and easy, turning a process that used to take weeks into a ten-minute experience for most customers. The company also recently raised a Series B financing of $35 million led by Accel, a leading early and growth-stage venture capital firm. Additional participating investors include Google Ventures (GV), previous investors Sequoia Capital and Arrive, a subsidiary of Roc Nation, and a debt facility from Silicon Valley Bank. However, I invited Peter Colis, CEO and co-founder, Ethos onto my tech podcast to learn more about how the startup story behind their success. Peter shares how the inspiration for Ethos originated in a college dorm many years ago and the rest history.